Cervical cancer is one of the most preventable and treatable forms of cancer that can be prevented by HPV vaccination, early detection and effective management. Prevention and early treatment are highly cost-effective. Worldwide, cervical cancer remains one of the gravest threats to women’s lives, and globally, one woman dies of cervical cancer every two minutes with about 90 percent of the deaths occurring in less affluent countries. 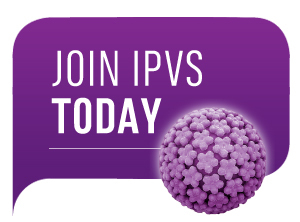 Cervical cancer is caused by certain types of human papillomavirus (HPV), an extremely common group of viruses. 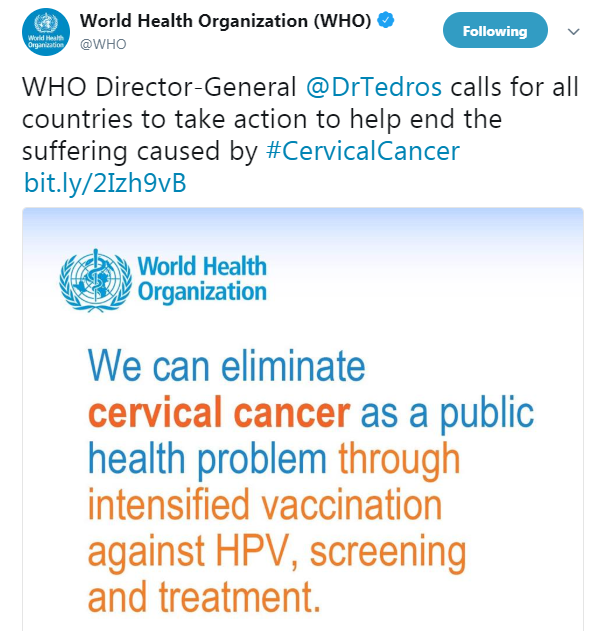 In recognition of this, WHO Director-General, Dr Tedros Adhanom Ghebreyesus made a global call for action on 19th May 2018 towards the elimination of cervical cancer.